With a week of below temperatures behind us and no break in sight, many plumbers are facing an increasing number of calls about frozen pipes. This often occurs as homeowners turn down the heat in under-insulated rooms when they go out of town. Here are a few tips plumbers can give their customers to avoid a burst pipe. Open cabinet doors where sink pipes are located before going out of town. This keeps the pipes at room temperature and prohibits them from freezing while you're away. Allow faucets to drip slightly. Allowing a small drip of water to run through pipes alleviates the pressure that can build up in cold pipes which often causes them to burst. Wrap pipes in insulation or heat tape. Shut off and drain outside faucets. 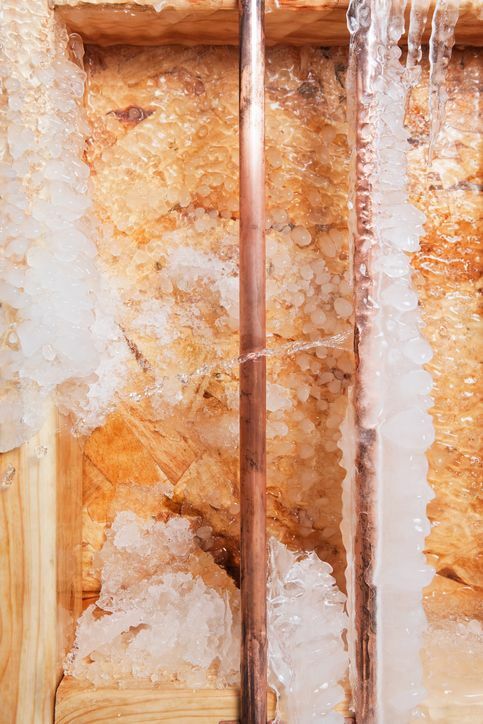 Use a hand-held hair dryer or heat tape to thaw frozen pipes.